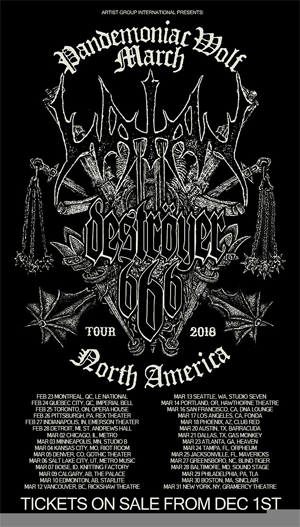 # with DESTROYER 666 WATAIN’s new studio album Trident Wolf Eclipse is scheduled for release on January 5, 2018 via Century Media Records. The album will be available as LP, Standard CD, limited CD Digipak, digitally as well as in a limited deluxe box set of 3,000 copies. The album is also available in a variation of different vinyl colours from selected mailorder/retail stores.